Access to medical care is one of the things that is difficult to reach when it comes to families who are just trying to make ends meet every day, having a family income that only suffices for their daily needs such as their meals. Luckily, Tatay Judy Millan’s children are able to go to school and he can feed them daily including the newest member of their family, his fifth child. There are times Kenneth will have a painful stomach and that’s the time he will have the attacks that look like a seizure. This was the reason he went out of school just when he was about to reach grade 4. His arms started to get weak as well as his legs. He cannot do strenuous activities, even playing games that require too much movement. His father tells that his hands start to shake when he holds a pen. During a rainy day, Kenneth easily feels cold. Tatay Judy with Karla and Kenneth talking to a volunteer doctor during the outreach project in Bancal Elementary School in Carmona, Cavite. 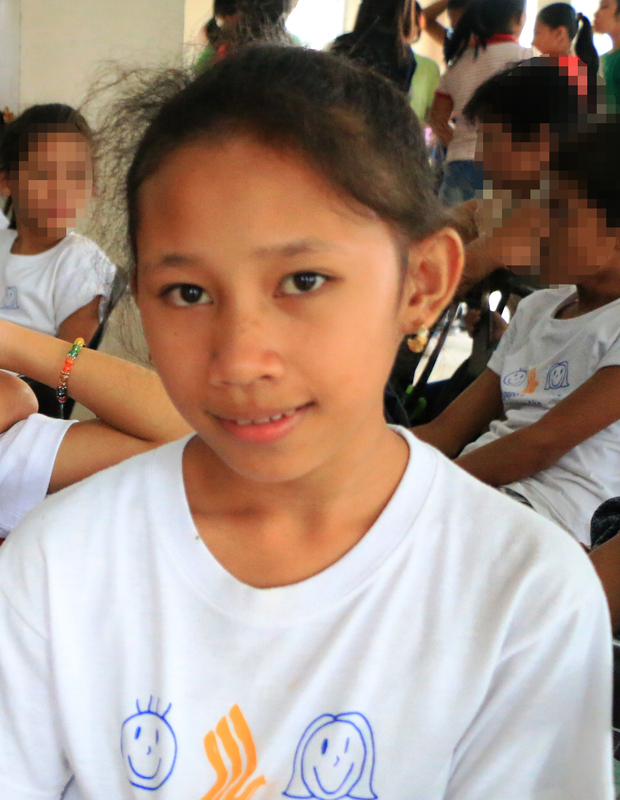 Tatay Judy’s family is one of the 300 families who lined up in an outreach project held at Bancal Elementary School in Carmona, Cavite. He said the timing was really right. Because of the outreach, Kenneth was able to have check-up which is one of the free services rendered in the outreach. His daughter Karla was given medicines while Kenneth was advised to seek a neurologist for his condition. He was also given multivitamins. The outreach project was spearheaded by Bantay Bata 163 Laguna with the help of SC Johnson, Gardenia, and the LGU of Carmona, Cavite, in celebration of the 23rd National Children’s Month. 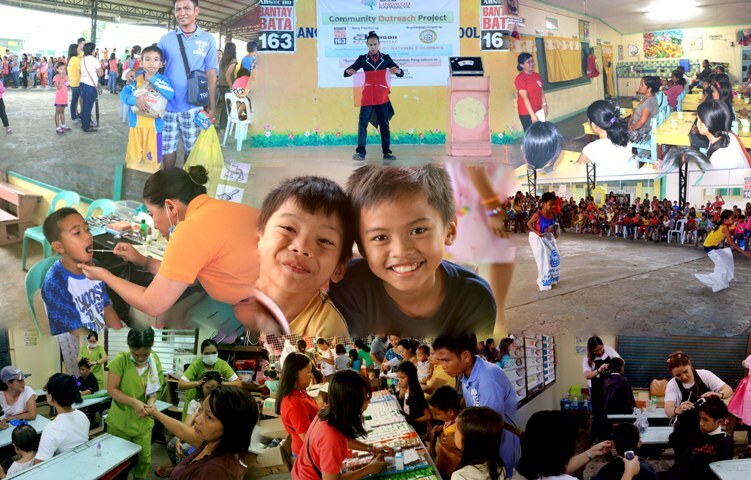 Bantay Bata 163, for the past 18 years, has been going to places to conduct community outreach projects (COP). For their COP in Carmona, aside from a free medical consultation with free medicines, the program also had free haircut services, massage, and dental consultation to the beneficiaries. Each family was also given gifts as giveaways. Parents were also given a parenting seminar to avoid child abuse in the community while children were entertained with different games and performers.